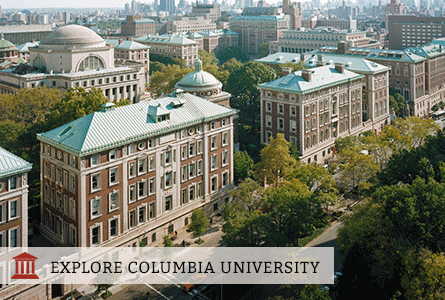 Students can choose from over 100 undergraduate programs of study in the two undergraduate colleges at Columbia: Columbia College and Columbia Engineering. The student-to-faculty ratio is 6:1, and is 3:1 in the sciences. Over 80% of classes offered to undergraduates have fewer than 20 students. Columbia offers various special joint degree programs: Combined Plan Program with Columbia Engineering, Columbia-Juilliard Exchange, International Affairs Five-Year Program, Public Policy and Administration Five-Year Program. Students have the opportunity to get involved in cutting-edge research through programs such as the Summer Undergraduate Research Fellow (SURF) Program and the Student Research Program. The Office of Preprofessional Advising assists students interested in attending professional schools such as law, medicine and public health. The Center for Career Education assists students in finding jobs and internships in New York City and around the world, annually posting more than 36,000 positions on our LionSHARE online database. The Office of Global Programs assists students in studying or interning abroad at over 100 approved programs in both developed and developing parts of the world.